I've been having major tot school nostalgia lately! It's hard to believe we've been doing tot school since Ethan was 15 months old but, at the same time, it feels like just yesterday we began. 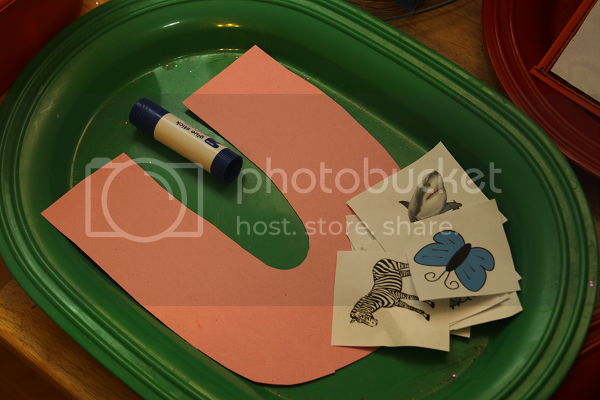 I can't believe we're at our second run-through of the alphabet! 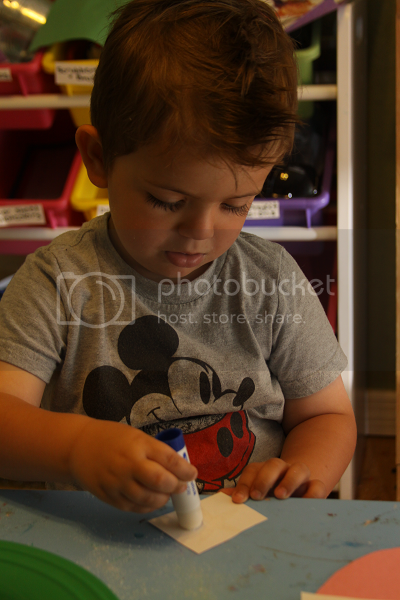 This was a fun week in tot school. 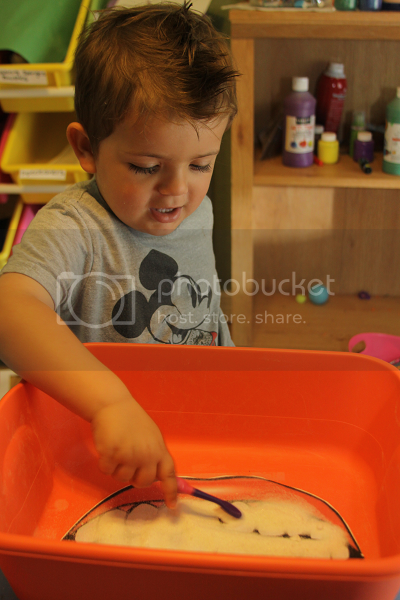 As can be expected in the summertime, we aren't spending a lot of time at home so our tot school time has been more limited than in the past. 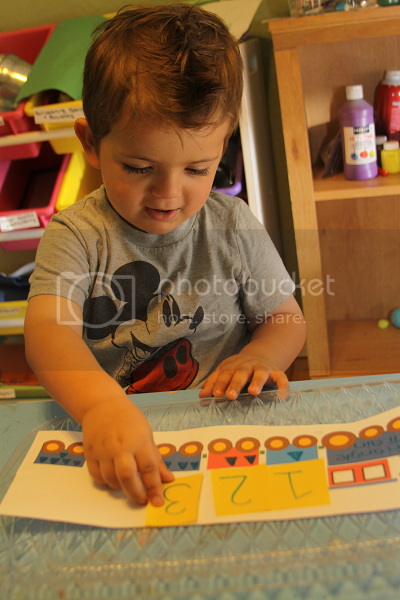 Still, the older Ethan gets, the more he requests a quicker turnover time between tot school themes so it has almost worked in our favor. He was really into all of the tot trays this week! There is little cooler to Ethan right now than trains, so he was excited about this tray. 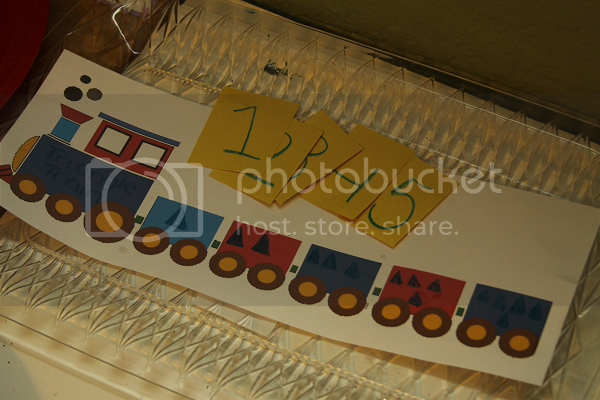 He got to count out the triangles in each train car and match them up with the corresponding number. 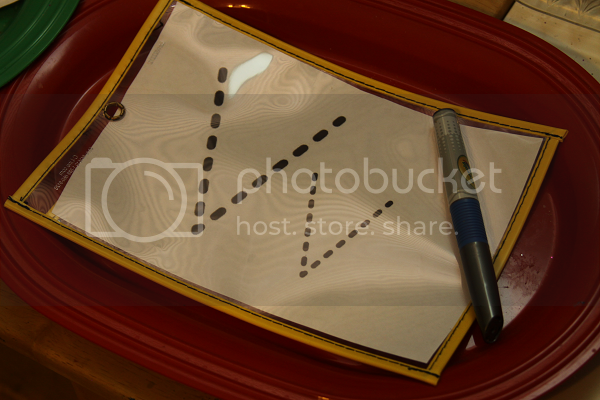 This was a fun little dry erase tray! 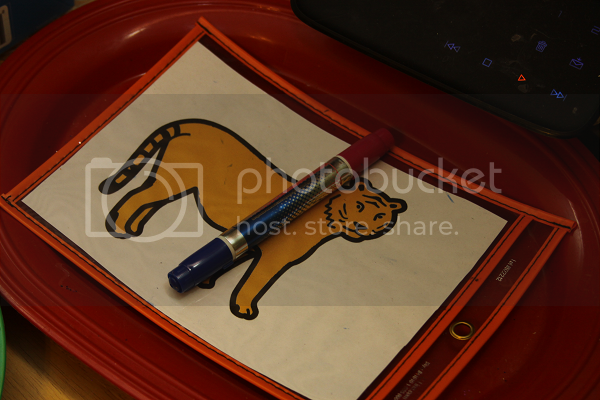 I printed a photo of a tiger without stripes and Ethan got to draw the stripes on with dry erase marker. 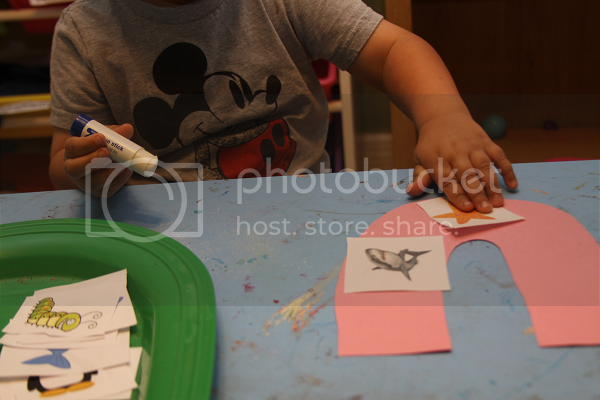 He had a lot of fun with this one and alternating which way the stripes went. 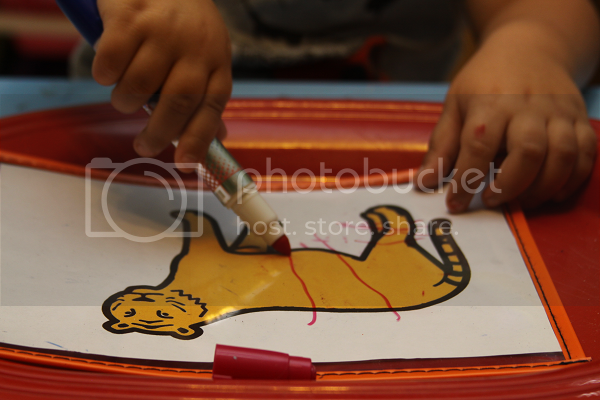 Towards the end he got creative and made both horizontal and vertical stripes on his tiger. 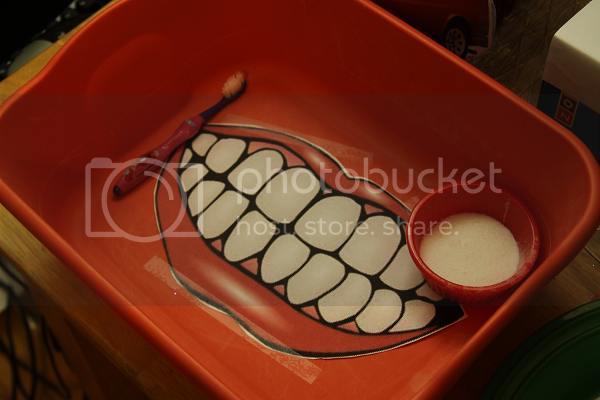 This was just a little fun little tray that I made in our sensory bin. Ethan got to pour some sugar into the bin and then sweep away the sugar off of the teeth using one of his old toothbrushes. He had a blast with this tray. 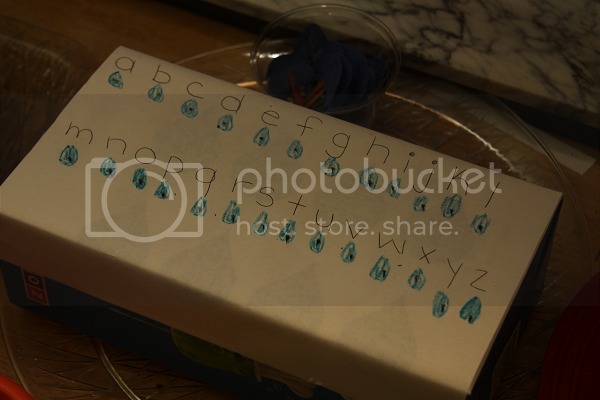 For this one, I took an old box and made some raindrops with lowercase numbers. 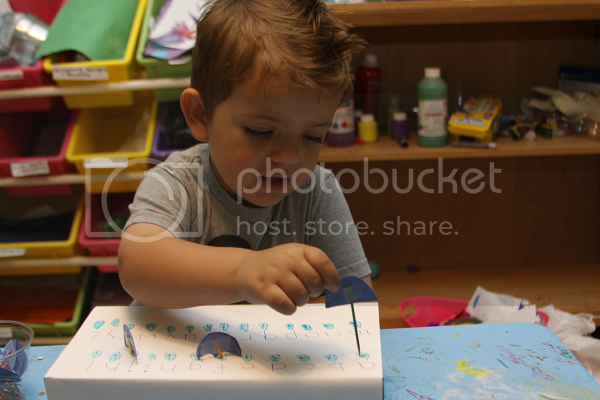 I cut out little paper umbrellas, attached them to toothpicks and wrote the uppercase letters on them. Ethan got to match the uppercase and lowercase letters together. 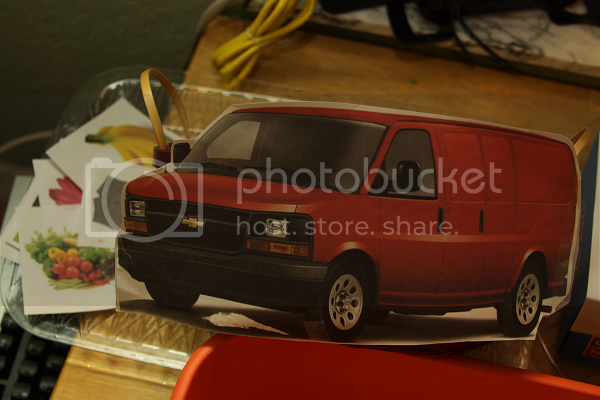 I attached a photo of a van to a little basket and included some different cards of different objects. 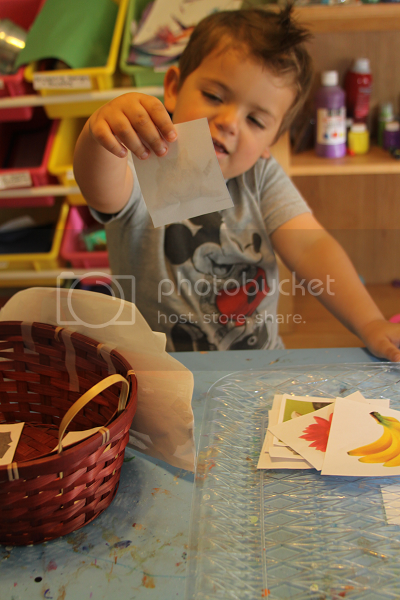 Ethan got to sound out each image on each card and determine whether or not it began with a V. If it did, it got to go for a ride in the van basket. 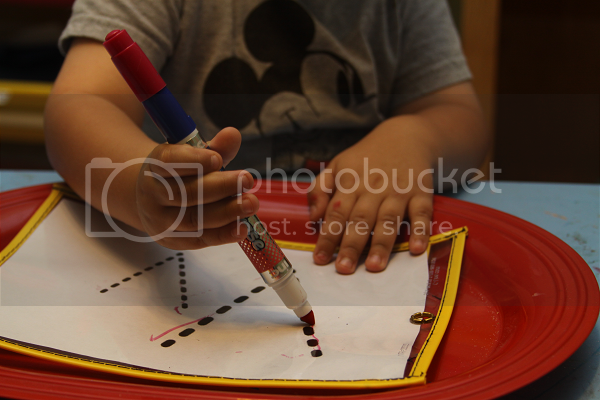 This was probably Ethan's least favorite tray of the week, but it was pretty simple to him. I should have included more cards. 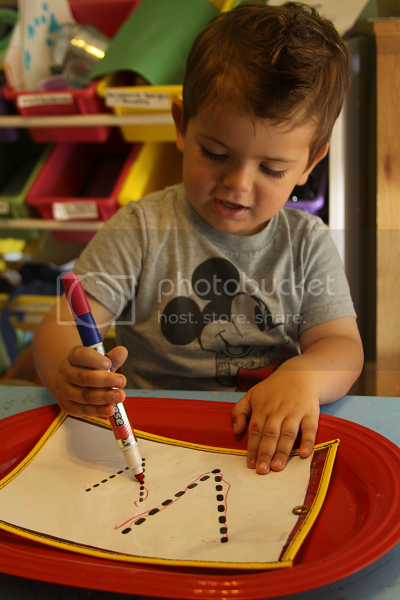 Ethan really enjoyed the letter V tracing this week after having been tired of the dry erase tracing in previous weeks. V is one of the letters that Ethan loves to write on his own so I was worried he would have no interest in this one, but he still had a lot of fun with it. For this tray, I put out some cucumbers, carrots, tomatoes and spinach leaves (not pictured here as they stayed refrigerated until needed!). 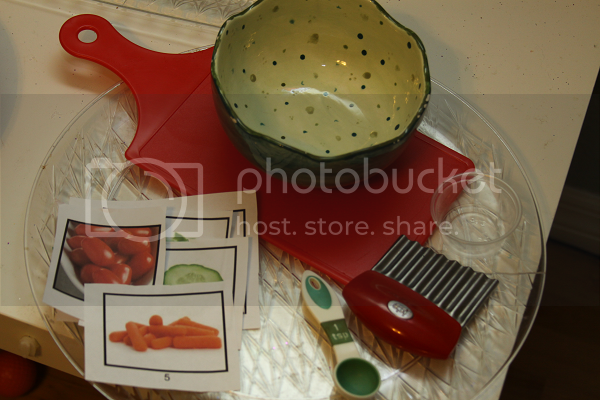 I included little notecards with pictures of each vegetable and how many we needed for our salad. 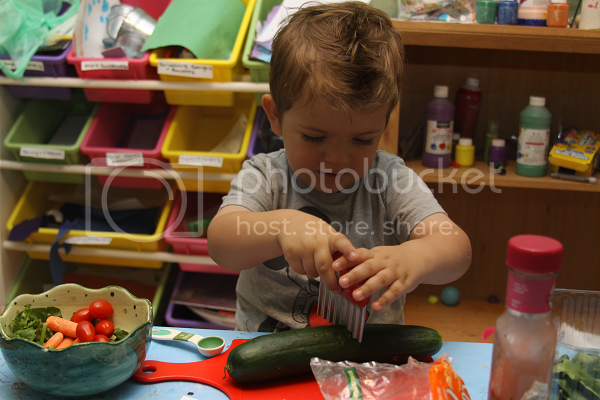 Ethan got to identify the numbers on the cards and build his salad. I also included some dressing to measure with a teaspoon and then pour into a little cup (which Ethan couldn't resist putting on the salad right away). 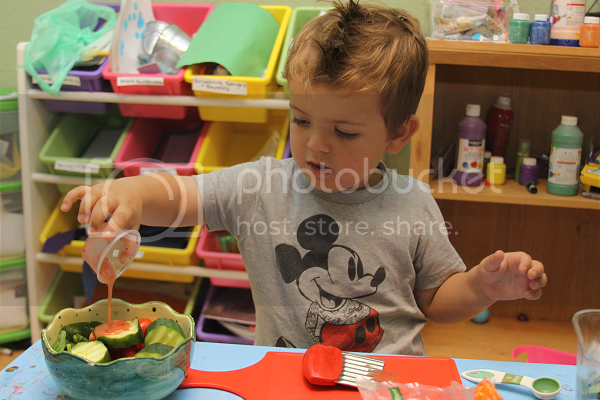 He had a ton of fun with this tray, especially chopping his own cucumber slices!